A 53-year-old man was wounded after being shot by Immigration and Customs Enforcement agents in Chicago’s Belmont Cragin neighborhood on the Northwest Side Monday morning, according to police. The shooting happened just before 6:20 a.m. in the 6100 block of West Grand, Chicago police said. Family identified the wounded man as Felix Torres. ICE said they were not initially at the residence to arrest Torres. 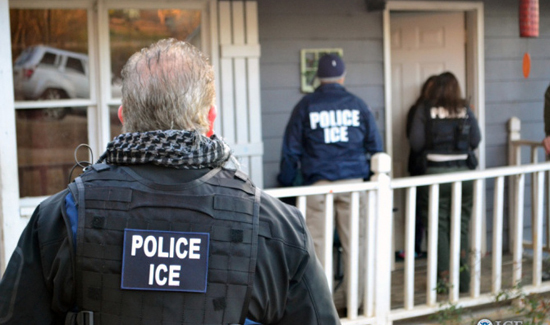 ICE Homeland Security Investigations special agents were attempting to make an arrest when someone pointed a weapon at them, officials with the department said in a statement. Chicago police said the agents were executing a federal enforcement initiative when the shooting took place. The man was transported to an area hospital and listed in serious condition. Family members of Torres claim he did not have a gun and is in the United States legally. His daughter, Carmen Torres, told NBC 5 the family was not told why agents were at the home Monday. She said her father was shot as three children, including a 5-month-old, stood nearby. Her family has leived legally at the home for nearly 30 years, she said. Neighbor Gabriela Lucatero said her husband captured cellphone footage of authorities telling Felix Torres and other bystanders to get down on the ground. “One of the cops was saying to come out with his hands up,” she said.